Being a creative may be the coolest job on Earth. Someone once told me that creatives have the greatest responsibility to change and alter the world. We are the ones innovating, marketing, designing, and developing new ideas and products that make life better, simpler, and more beautiful. What could be better, right? At times though it can be tough. I receive a lot of emails asking how I always stay creative and fresh. This question has always been so interesting to me considering I knew it was rare for me to wake up with a brilliant blog post idea or the correct idea on a design concept. All of that takes a lot of hard work. I wish I knew the secret elixir to always having the right creative answer every day. Back in college I feared going into the design world and being under pressure to create and failing or ending up in some kind of creative slump and be completely discouraged. It was my greatest fear and sometimes still is. 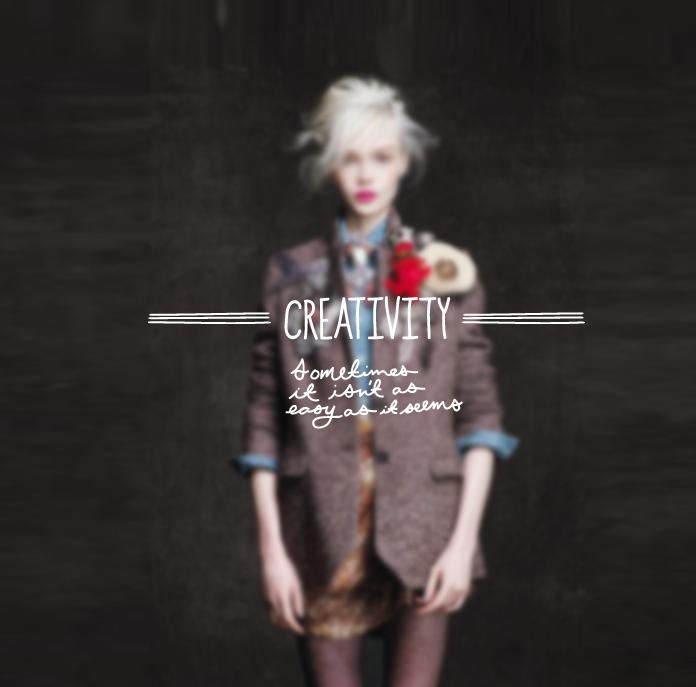 The honest truth is every great creative gets stumped. Nothing comes easy and the pressure can be immense that we place on ourselves. Your first idea is rarely the final product and you are told “no” either by yourself or by your clients more often than yes. This means you have to have tough skin, you have to find a way to create freely somewhere else (such as a blog! ), and most importantly you have to find a way to separate your personal identity from your work. What I have learned more recently is that these slumps in creativity only mean that some of the best work is coming. It does not mean it is over but rather you need a break or you are in need of scaling back. I always end up learning something about myself as a creative such as something I never knew inspired me, something that I didn’t even know I needed, or maybe that I truthfully am trying to do too much. Learning to value your time, your ideas, and your perspective of the world are huge and difficult tasks, but also are the key to being a great creative. This is something I am slowly trying to learn and balance in my life. Understanding this will help you center and realize where you want to be as a creative. The best and worst apart about all of it is knowing your job is never done. You and the world are constantly changing and new challenges are always present. Taking it all in stride and realizing it is all part of a process of becoming better than you were yesterday is the most important thing. I always try to picture myself climbing this huge mountain, remaining confident in my skills is what keeps me going because the moment I feel defeated and lose that confidence I will more likely never keep pushing to be better. It is a challenge but it is the kind of challenge worth taking on. It is so rewarding at the end of the day to see a final product that you have developed, thought through deeply, and put so much in to. This is the part that keeps my head up and inspires me most. Knowing I have done work that not only makes my client happy but me as well is the greatest pat on the back. Thank you so much for writing this, Megan! This is just what I needed right now. I’m glad other people go through slumps too! I needed to read this today: “Learning to value your time, your ideas, and your perspective of the world are huge and difficult tasks, but also are the key to being a great creative.” It’s such a difficult task, especially when faced with people who don’t value those aspects of you. It is great to know we’re all in this together. This is a really smart post. Great summary of the recurring troubles that probably every creative faces. I am still in the middle of developing a thicker skin. Unfortunately, I put myself under a lot of pressure, but my patience is not necessarily up to par with the amount of things I have to and wish to learn. But practice makes perfect, right? Thanks for the post!